Bard’s Corner – Music News in Video! 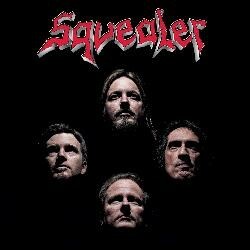 Press Release: PRIDE & JOY MUSIC is proud to announce the signing of German Metal veterans SQUEALER! The band based in Hessia, Germany has released seven successful studio albums between 1992 and 2008. After the group’s hiatus which started after the 2008 release “The Circle Shuts”, SQUEALER united in the year 2016 with new singer Sebastian Werner and already have completed the works on a new album and played several gigs including the prestigious 70000 Tons Of Metal festival. The Keith Emerson Estate Announces the Re-release of “Emerson Plays Emerson” on CD & Download. Copyright © 2019 Paradise Rock UK. All rights reserved.